Sundered Shade is a common Intelligence creature card. 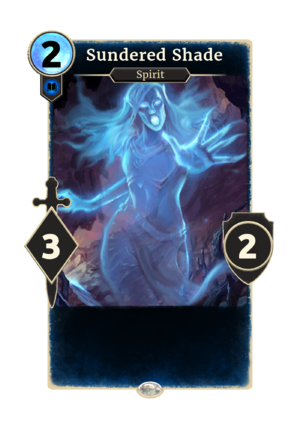 It cannot be collected, but instead is summoned when you play Soul Split. This page was last modified on 7 October 2018, at 15:59.